Welcome to the St. John's website. please browse through our Visitor Guide. In the gospel accounts of Jesus' passion, there are several striking three-word phrases, such as "Love one another," "Watch and pray," and "It is finished." This Lenten season, we will use this series to gain understanding of powerful words like these. Most important, they help us discover the rich meaning and purpose of God's Word, even in the smallest pieces of dialogue. A study of Revelation 12-14 with emphasis on the place and function of government in God's plan of salvation. We will examine how government is established, what the Christian view of government is, and how God uses government to advance his plan of salvation. The goal will be to help Christians understand that we must through much tribulation enter the kingdom of heaven but God's plan of salvation will most certainly triumph. So take heart. Professor Roger Kobleske will be leading this study. This class starts January 6th and runs for eight weeks. Bible class on Sunday morning is in the school cafeteria from 9:10-10:10 a.m. There are coffee and donuts available, and, there is a nursery care in our school Childcare room for children too young to attend Sunday School. Please, if you would, let the church office know if you have a child you are planning to send to our nursery care so we can have enough staff to help. There is also a freewill donation for coffee and donuts for the Youth League, if you would keep that also in your plans. We hope to see you in class on January 6th. This Bible study gives Christians a better understanding of how their salvation has been accomplished. Through this study you will learn how to respond to others who may want to know more about Jesus Christ our Savior. Pastor Rodney Warnecke will be leading this study. This class begins January 9th and runs for eight weeks. 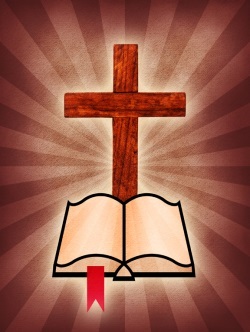 Wednesday Bible class meets in the church Council chamber by the church office and goes from 10:00-11:00 a.m. There is coffee provided but no donuts. We look forward to joining us for this study of God’s Word together. Classes for children ages 3 through 6th grade resume Sunday, January 6th from 9:10-10:10 a.m. in the lower level of church. It. is a great time for Christian education for both young and old here at St. John’s. There is no cost but there is a weekly offering received in these classes.